Twenty years on from Croatia first taking the FIFA World Cup™ by storm, Zlatko Dalic’s team have booked the country’s place in the semi-finals for the second time in their history. 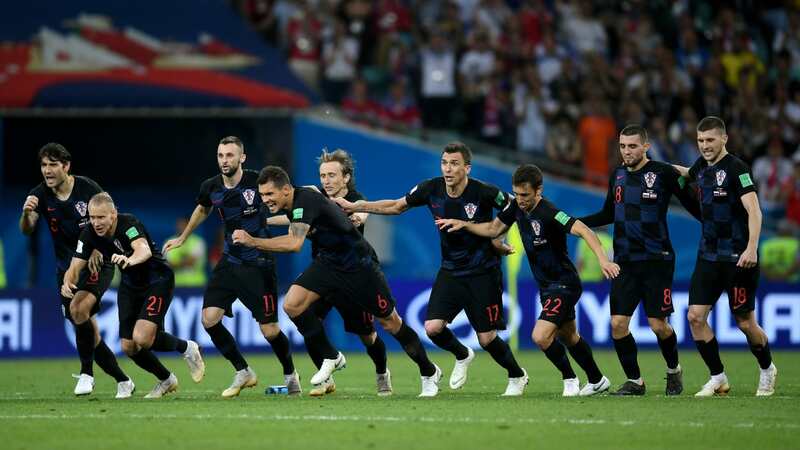 Having emerged victorious on penalties after a gruelling encounter, the Balkan side have also got a monkey off their back by ending their hoodoo against World Cup hosts, having been knocked out by France in 1998 and lost to Brazil in the Opening Match of the 2014 edition. Roared on by a boisterous crowd at the Fisht Stadium, the Russians sought to press high up the pitch early on. Yet despite this pressure and the din, which rose to deafening levels every time the hosts sprang forward on the break, the Croats refused to be cowed, continuing to play their game and giving as good as they got. It was from one such counter-attack that Russia took the lead, Denis Cheryshev unleashing a left-footed piledriver that flew into the top corner. However, the Vatreni were not about to lie down and hit back a few minutes later, Andrej Kramaric stooping to head past Igor Akinfeev and ensuring the home fans’ celebrations were short-lived. Besides an Ivan Perisic strike that clattered Akinfeev’s post, clear-cut chances were few and far between in the second half, which was as tense as it was bereft of goalscoring action. Domagoj Vida headed home in the first period of extra time to silence the Russian supporters again, only for fans up and down the country to erupt with joy when Mario Fernandes equalised with just minutes remaining. Fernandes would go from hero to villain in the shoot-out though, his miss proving decisive as Stanislav Cherchesov’s charges ultimately bowed out. Luka Modric was a metronomic presence in the Croatia midfield yet again, spraying passes around and helping his side to starve Russia of the ball. He also showed character to convert his penalty in the shootout again, having missed from the spot during normal time against Denmark. 2 – Russia is the first country in World Cup history to contest two shoot-outs while hosting the event. Tonight’s match was the 30th time that a game has been decided on penalties at the competition; the first was the 1982 semi-final between West Germany and France.